Course InformationThe Emergency First Aid at Work course is designed to meet the requirement of organisations whose first aid needs assessment as determined that their organisation require Emergency First Aid at Work trained employees. The course content meets the statutory requirements of the Health & Safety (First Aid) Regulations sinds 1981. This course will provide all the required first aid skills necessary to manage a patient that is not breathing normally, is unconscious, bleeding or is ill or injured prior to the arrival of the emergency services. Students are assessed throughout the course by instructor observation of the essential skills. Annual Refresher Training is strongly recommended by First Aid International. 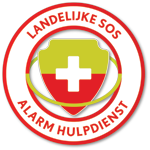 1 year from date of completionFirst Aid International are approved by the Health and Safety NL. Hands-on Skill Practice First AidStudents will practice the essential skills in small groups and will apply these skills in scenario sessions during the course.